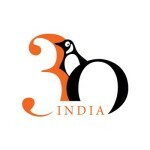 Penguin Random House India turns 30 this year. As an ongoing anniversary-year celebration, the company is engaging readers in creative new ways, from sharing backlist classics to producing a phenomenally popular crowd-sourced Twitter campaign. To kick off its anniversary celebration, the company created and published Penguin 30, which contains excerpts from thirty of its most celebrated bestsellers published during the past three decades. Among them: Nehru’s autobiography and such novels as Vikram Seth’s The Golden Gate, Amitav Ghosh’s Sea of Poppies, and Jhumpa Lahiri’s Unaccustomed Earth. 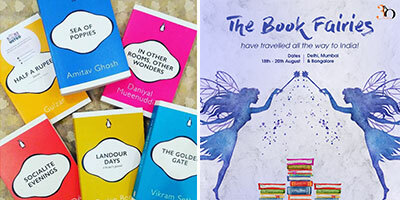 Similarly, and in keeping with its anniversary motto #KeepReading, PRH India partnered with BODM (Books on the Delhi Metro), and provided special anniversary editions that were placed at various metro stations at the Delhi Metro line for one week in August. Part of the great eye-catching appeal of the campaign was that the lovely anniversary special editions were color-coordinated with the metro lines: blue covers on the blue line; yellow covers on the yellow line; red on the red line; and so forth. What made the promotion extra-worthwhile is that Books on the Delhi Metro is a nonprofit initiative aimed at promoting reading while commuting. Reading initiatives by BODM have taken social media by storm recently as reading enthusiasts drop off books for people to pick up, read, and then return for others to enjoy reading, as they have. BODM shared updates on Facebook and Instagram regularly, as did PRH India’s own social media pages. “We received extensive media coverage, word of mouth, and great satisfaction for our part in commuter book discovery, for this campaign,” said Hemali Sodhi, SVP, Marketing, and Publisher, Children’s, Penguin Random House India. Launching a #KeepTweeting contest was an entirely different way of inviting audiences to join in the celebration. Twitter users were given the first line of a story and invited to keep adding the next lines until the story was complete. The idea was to create the first-ever short story with thirty lines to commemorate the 30th anniversary in India. 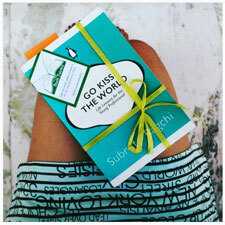 Who knew turning thirty could be such fun and attract so many new readers to Penguin Random House India’s great books?